Personal, one-on-one coaching now available! 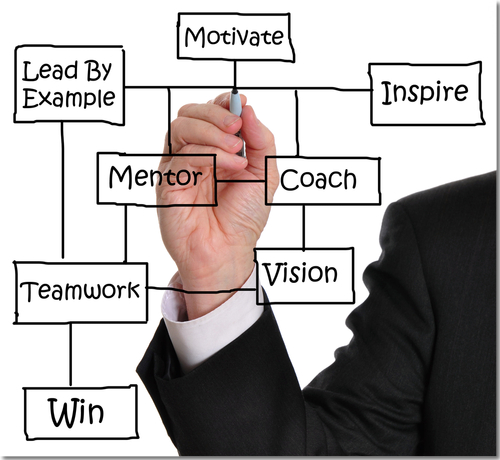 We're excited to announce our new "1-to-1 Coaching" service! Personal (one-to-one) and Personalized (customized) training! Since we're a small company, we don't have the manpower to personally provide all the individual one-to-one coaching to our clients that we'd like. We want only the best for our valuable clients. So, we researched and sought out the market-leader in the field of private coaching services. The interesting thing that we found, is that this fabulous company is located only 5 minutes from our corporate offices. This great company is Prosper Learning. We've had the pleasure of meeting both founders of the company, and we have worked with their expert investing Coaches so that they understand what we do at CoveredCalls.com, and what our clients require. 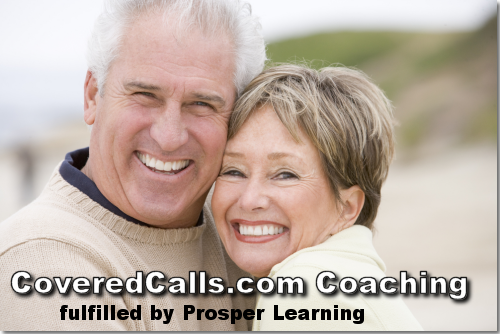 The exciting feature about the CoveredCalls.com Coaching program is that it is fully customizable, and you tailor the training! You work with your Coach on what areas you want to concentrate on, and you review each topic (so that you fully understand the principle) before moving on. Did you ever have a "private" tutor in high-school or college? If so, you know how much faster (and more in-depth) you learn, when you get 100% personalized attention. Sometimes, a private tutor was the only way to get through the tough classes! Well this "class" that you want to succeed in is: INVESTING. And you are using your own hard-earned money when you invest. Why not be fully trained, and gain the confidence and knowledge that you require to be successful. There's no flying out to remote seminars, and sitting in a hotel conference room as one of 500 anonymous students. You work with the professional Coaches from the comfort of your own home, at your computer. And it's tailored to you. Appointments are scheduled in advance, at your convenience. Slots are limited, and you must qualify (not everyone gets in). Once again, we are leading the way to safer and smarter CC investing! This unique coaching program allows you to tailor the training! Work with your Coach on what areas you want to concentrate on, and review topics so that you fully understand a principle before moving on. Because you are in control of the direction of the coaching program, the investing topics below are only suggestions of what can be covered during the program. These topics can be altered to meet your needs. Prosper Learning is a trusted leader in one-to-one personalized education. Every week Prosper conducts over 1,500 coaching sessions with students around the world. Prosper was founded in 1999 and has taught more than 150,000 students in 76 countries. The personal training can be customized to your requirements. Please fill out all questions below (we've tried to keep this brief...since we don't like long surveys either). This information will be kept confidential, and it truly helps us understand your requirements. Question 1: Do you now currently invest with Covered Calls? Question 2: Would you like Covered Calls to be a larger part of your investment plans? Question 3: Which statement best describes you? Question 4: Which aspect of investing do you need the most help with? Question 5: Which topics interest you the most? Question 6: Would you like coaching on Charting, Identifying Trends, and Support and Resistance?